Sergey Alakov posted a screen shot on Twitter of the local panel showing other locations available for a specific restaurant. Often, popular restaurants or chefs open up more than just one location. 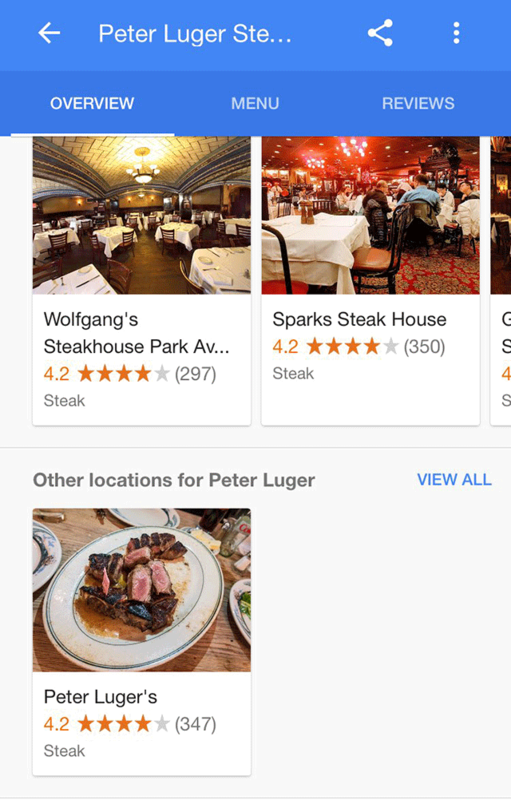 Google here is showing other locations for the Peter Luger Steak House here. Google has shown competitor for your brand searches so I guess it is always nice if Google would show more of your own brand versus your competitors?